You have added Macrame Lace Capsleeve Pencil Dress in White into shopping cart. FINAL SALE. The bold patterned macrame lace fabric of this dress lends a boho touch to an otherwise chic and sophisticated look. The Macrame Lace Capsleeve Pencil Dress is fully lined, except at the sleeves, which are semi-sheer. It has a rounded neckline, cap sleeves, and a fitted pencil cut with princess seams down the front. The open back design adds an unexpected flirty touch. A row of hook and eye closures at the top back and a hidden back zipper complete this dress. 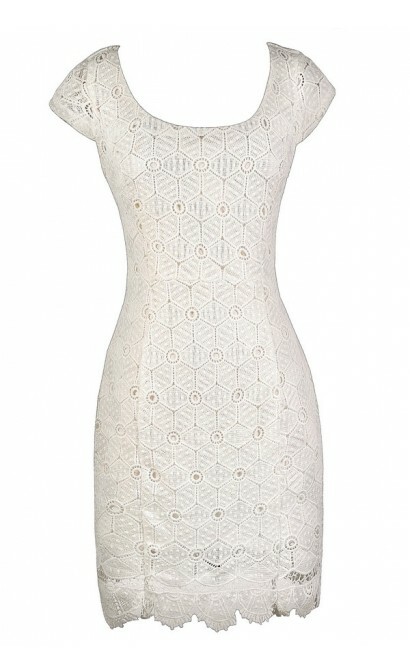 The Macrame Lace Capsleeve Pencil Dress looks nice paired with pumps or wedges. We love how this dress is sophisticated with a boho touch. Details: Fully lined, except at sleeves. Hidden back zipper. 100% polyester. Dry clean. Do not bleach. Do not tumble dry. Do not iron. Small measurements: Length from top of shoulder to hemline: 38". Bust: 29". 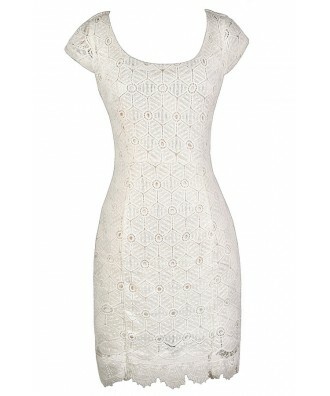 You have added Macrame Lace Capsleeve Pencil Dress in White into Wishlist. You have added Macrame Lace Capsleeve Pencil Dress in White for Stock Notification. 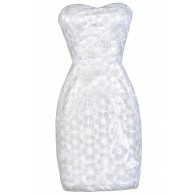 You have set Macrame Lace Capsleeve Pencil Dress in White as a loved product. 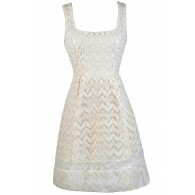 You have removed Macrame Lace Capsleeve Pencil Dress in White as a loved product.